Zum 455. Geburtstag von William Shakespeare: Genie, Intellektueller, Volksschauspieler, Liebespoet und Sprachrevolutionär. Seine 154 Sonette sind grandiose Kunstwerke. Voller Humor und Leidenschaft. Und voller poetologischer Reflexion. Liebe und Tod, Alter und Vergänglichkeit sind ihre Themen. Androgynie und Homoerotik. Gesellschaftskritik und Weltklage. Gesine Heinrich hat eine Auswahl von Shakespeares Sonetten neu ins Deutsche übertragen und neu vertont. Eine Liebeserklärung an einen universalen Geist und stürmischen Liebhaber. 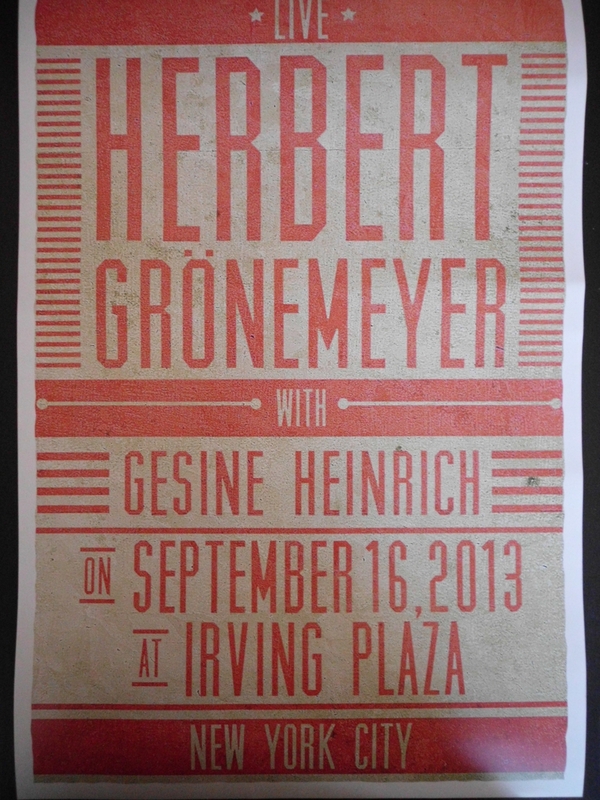 Gesine begeistert als Solo Opening Act von Herbert Grönemeyer im New Yorker Rock-Olymp Irving Plaza! in German, English, French, Italian & Spanish. A journey through languages, styles and emotions: Poetic, dramatic, powerful. 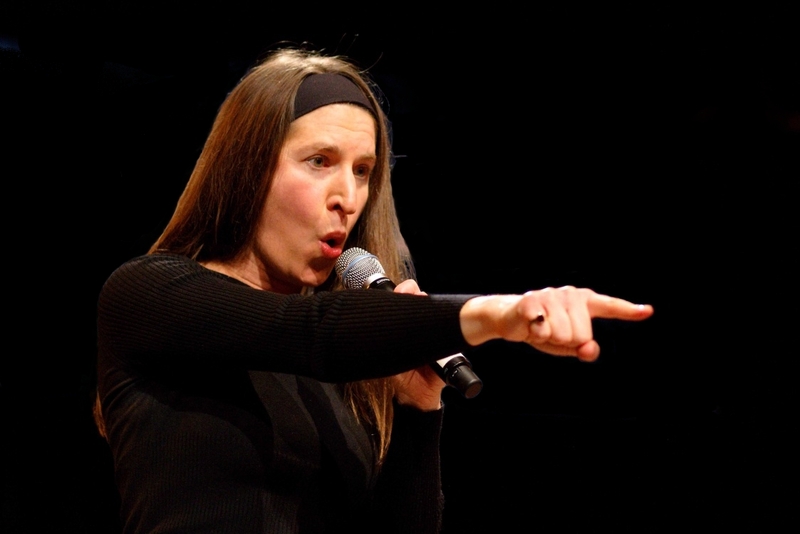 Die Songwriterin Gesine Heinrich ist in 5 Sprachen verliebt, verrückt, verzweifelt, komisch, wütend, glücklich. Und authentisch. Polyglott und stilistisch brillant vereint sie in ihren Liebesliedern und satirisch-philosophischen Balladen Chanson und Pop, Klassik und Broadway, Folk und Filmmusik. Und macht sich so auf den Weg von Berlin nach New York, von Paris nach Sizilien nach Chile. Starke Texte, große Gefühle. Melodien, die bleiben. Eine Stimme für die Welt. 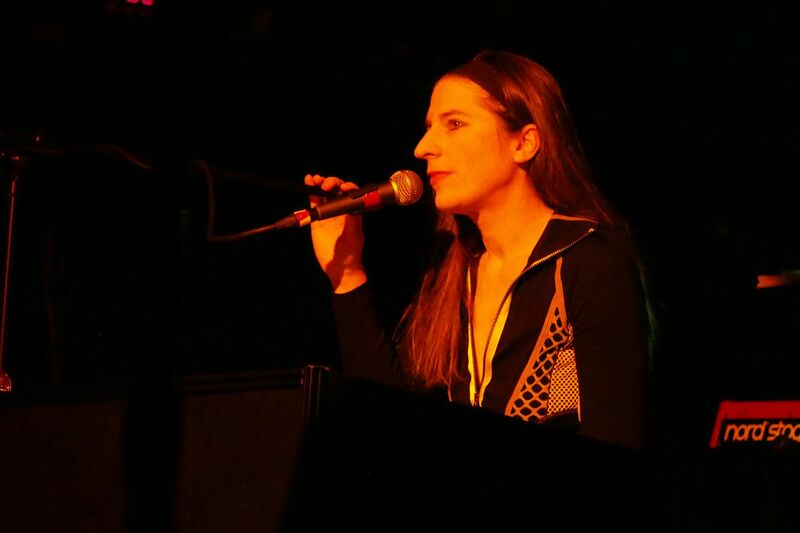 Gesine Heinrich: 5 x LOVE! Original songs in German, English, French, Italian and Spanish. 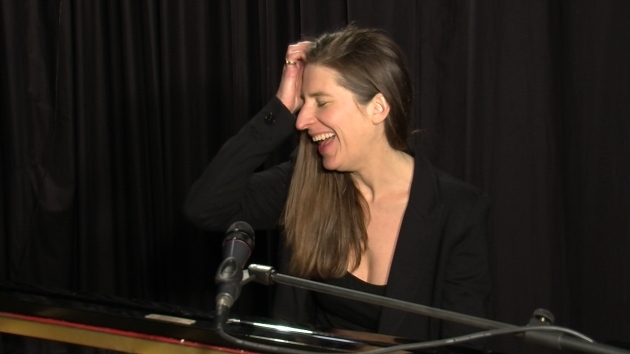 Gesine Heinrich composes songs in five languages: German, English, French, Italian and Spanish. Love songs as well as philosophical ballads which range from classic to pop, from jazz to chanson, from folk to film music. Her melodies will stay in your ears. Her sounds traveling not only Europe, but also North- and Southamerica. Schubert meets Tom Waits, Brecht falls in love with Broadway and after all you will hear passionate voices from Sicily and Chile. Strong lyrics. Big feelings. A powerful voice for many worlds on one planet. A voice that will touch you. Gesine Heinrich: 5 x AMORE! Gesine Heinrich scrive delle canzoni in cinque lingue: Tedesco, Inglese, Francese, Italiano e Spagnolo. Canta d´amore e delle lacrime. Desiderio e perdita. Canzoni di una voce dramatica, di uno spirito filosofico. Di melodie. Questa é la Winterreise continuata, questa è la canzone siciliana, la chanson francese, il German Volkslied e il Pop-Song nello stesso tempo. Chi ha bisogno dei cassetti? Gesine Heinrich smaschera il decoro, nell´ amore e nella vita sociale. Dite quello che pensate, cantate quello che sentite! – sembra figlia di Bert Brecht e Edith Piaf, Wladimir Wyssozki e Rosa Balistreri. Una voce che tocca. Una voce per il mondo. Gesine Heinrich live @The Metropolitan Room, New York City. April 5th 2013 from Gesine Heinrich on Vimeo. Stimmen aus dem Publikum über Gesine Heinrich und 5 x LIEBE! S. P., A Danish audience member, Copenhagen. Rodney Kendrick, jazz pianist and producer, former bandleader of Abbey Lincoln, New York, NY. 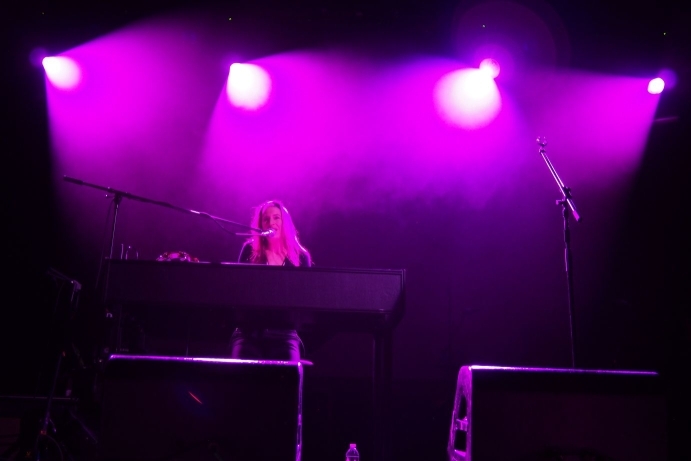 After opening with some of her own love songs Ms. Heinrich was joined on stage by the pianist Mark Hartman. Together, they performed the Edith Piaf classic “Padam, padam,” conceived by the former Universum Film AG composer Norbert Glanzberg. Ms. Heinrich expertly made note of this very appropriate French-German connection. In keeping with the French-German theme, she then sang Wolf Biermann’s ode to Heinrich Heine’s Parisian tomb “Auf dem Friedhof am Montmartre” (In the cemetery at Montmartre). Next up was Barbara’s “Göttingen,” which summed up the night’s message of reconciliation with one beautiful line: “Mais les enfants ce sont les mêmes, à Paris ou à Göttingen” (But the children are the same, whether in Paris or in Göttingen). Ms. Heinrich’s rounded off the set with a mesmerizing performance of the Brecht/Weill classic “The Mandelay Song” from the musical “Happy End.” It was a happy end, indeed, as the guests, including the Consul General of France, Mr. Bertrand Lortholary, gathered in the lobby for German pretzels and beer.